Happy August! 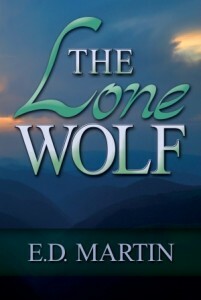 This month I’ll be posting from my debut women’s fiction novel, The Lone Wolf. Last week, Andrew reflected on the first time he saw Kasey. This week, she’s reminiscing with her husband, David. The last line of the snippet raises the most important question of all. Thanks for sharing. You touch my heart, ED. The last line did it. Lovely snippet and then the eternal question. Isn’t that just the question? Lovely description. I could see the scene playing out in my mind. Great snippet. Oh those tough questions! If she has to ask, then things must not be going too well….excellent excerpt, liked the shift in tone at the end – very effective writing. Just come right out and ask it. Way to go! Hope he answers in the positive.